The right-wing NRTWC is one of the most aggressive anti-labor groups in the country, and has a history of failing to report its electoral activity. A Center for Responsive Politics investigation in 2014 surfaced extensive documentation and audio of the group’s massive direct mail operation in support of Republican legislative candidates in the 2010 elections, as well as illegal coordination with candidates. NRTWC reported zero spending on political activity to the IRS that year. NRTWC has only reported spending $21,000 on federal races this election cycle, none of it for the Wisconsin Senate contest. NRTWC did not respond to questions from the Center for Media and Democracy about how many Wisconsin voters received the mailer and what other activity it was engaging in related to the Wisconsin Senate race. Calling it “good news,” the letter reads, “Leah Vukmir opposes union monopoly bargaining power and supports the Freedom from Union Violence Act and National Right to Work Act,” and then criticizes incumbent Senator Tammy Baldwin (D) for failing to respond to its candidate survey. The two perennial anti-union bills were last introduced in Congress by Rep. Steve King (R-IA) in 2017. The Freedom from Union Violence Act would amend the 1946 Hobbs Act to make it a federal crime for union protestors to obstruct, delay, or affect commerce through violence or threats or by “use of fear,” even if not involving force or violence. Opponents argue the bill could be construed to criminalize strikes and picket lines, and that state laws already adequately cover violent acts. The misnamed National Right to Work Act does not create a right to employment but instead allows union workers to become “free riders” by enjoying the benefits of a union-negotiated contract without paying dues to cover the costs of collective bargaining. So-called “right to work” laws are actually designed to weaken unions and lower wages, as the Economic Policy Institute has reported. Voters in Missouri rejected the state’s right to work law by a 2-to-1 margin this August after opponents argued that wages are far lower in right-to-work states than in states with a robust union presence. Vukmir has a long record of supporting anti-union policies backed by NRTWC and other corporate-sponsored groups. In 2015, while serving as a vice chair of the American Legislative Exchange Council (ALEC), Vukmir co-sponsored a private-sector right-to-work bill that was a carbon copy of ALEC’s “model” bill. 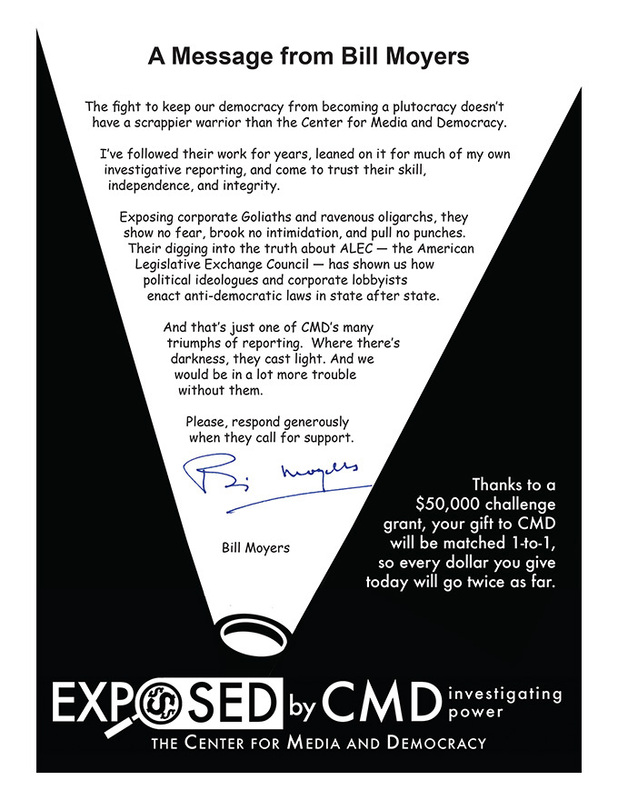 CMD exposed the bill as a verbatim ALEC measure. 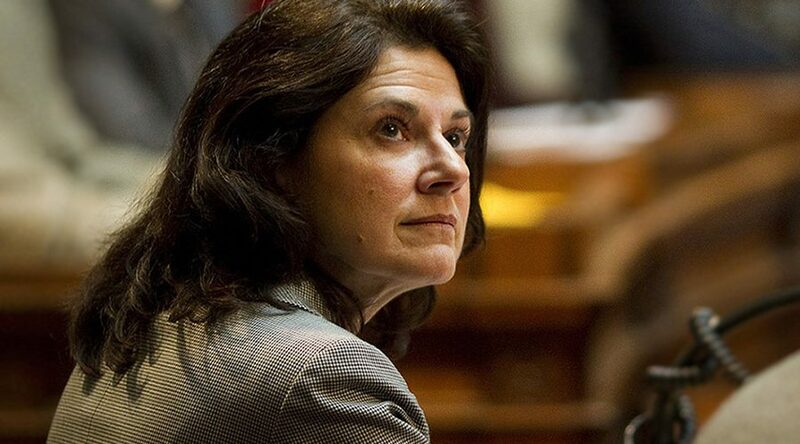 Shortly after, Vukmir introduced an ALEC-style repeal of Wisconsin’s prevailing wage law for public projects. Prevailing wage laws are designed to prevent bidding wars that result in a “race to the bottom” in wages and worker safety. Vukmir, the Kochs’ Americans for Prosperity, and others argued that the repeal would save taxpayers money, but study after study have shown that is not the case. In 2016, ALEC National Chair Vukmir “authored” yet another attack on workers, introducing an ALEC model bill prohibiting project labor agreements. Project labor agreements encourage union representation and better wages and working conditions on public works projects. NRTWC spends millions of dollars lobbying for its anti-worker agenda each year, $7.4 million in 2016, and hundreds of thousands in grants to state right-to-work groups. In 2015, the year that right-to-work was considered in Wisconsin, NRTWC gave $100,000 to WMC Mobilization Council, the 501(c)(4) affiliate of Wisconsin Manufacturers and Commerce (WMC). WMC is one of the leaders in undisclosed “dark money” campaign spending in Wisconsin and has consistently given Vukmir a 100 percent rating as a political ally. In 2014, Vukmir received a “Working for Wisconsin” award from the group. NRTWC is well-connected in the national rightwing network led and financed by the Kochs and other corporate-linked foundations. NRTWC received $1,000,000 from the Koch’s Freedom Partners in 2012, and more funding through the Koch Family Foundations. National Right to Work Legal Defense Foundation (NRTWLDF) is an associate member of the rightwing network of “think tanks,” the State Policy Network (SPN), that works hand-in-hand with ALEC and regularly exhibits at ALEC meetings. NRTWLDF, the sister organization of NRTWC, provided the lead attorneys for multiple cases in the U.S. Supreme Court attacking worker rights, including the controversial 2018 Janus v. AFSCME case, brought as part of a strategy of dismantling public-sector unions nationwide. The Court ruled in favor of plaintiff Mark Janus in that case, holding that government workers who choose not to join a union cannot be charged fees to reimburse the union for the cost of representing them in collective bargaining. NRTWLDF is funded by Donors Trust and Donors Capital, the Bradley Foundation, and the anti-public-school Walton Foundation, run by Walmart’s founding family. Learn more about NRTWC here, the Janus case here, and the latest anti-union campaigns here.